Rubbing to edges and corners bumped. Spine creased. Anne starts a new job as Principal of Summerside High School, but now she faces a new challenge: the Pringles. Summerside is virtually rules by the large Pringle family, who make it quite clear that they don't want Anne at the school. 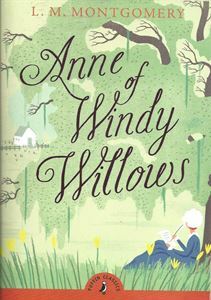 It takes all of her courage and tact, and the comfort she draws from the eccentric household at Windy Willows, to overcome local prejudice. And winning the support of the dreaded Pringles becomes only the first of her triumphs.